Bad weather has slashed Iraq's southern oil exports to 792,000 barrels per day (bpd) from 2.35 million bpd, a disruption that could last at least one day, Iraqi oil sources said on Sunday. 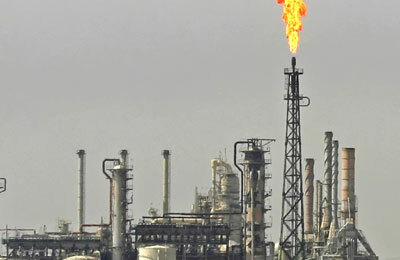 "The weather may improve tomorrow or the day after and allow exports to return to normal," one oil port official said. Iraq's oil exports were halted a week ago when rough weather stopped tankers from loading at Basra's ports.